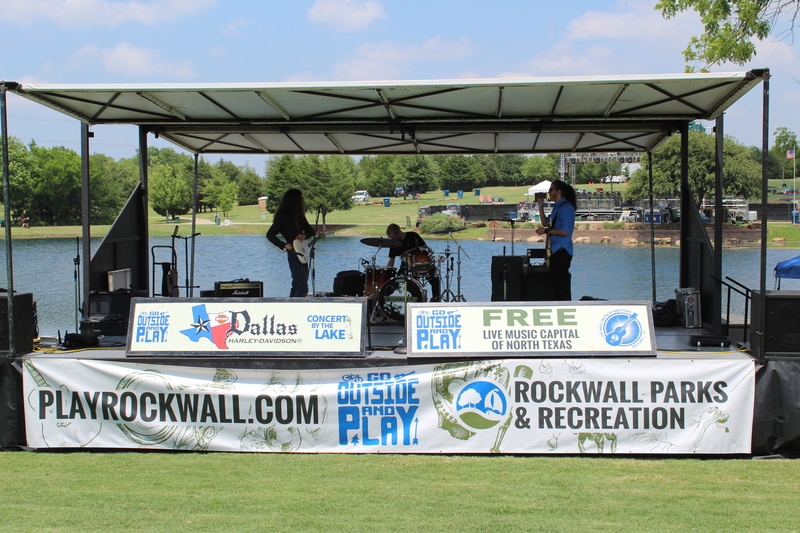 We are thrilled to be featuring 4 great bands prior to the big show on the Southwest Kia of Rockwall Main stage acts! CORAL CREEK is a nationally acclaimed Colo-Caribbean Newgrazz band featuring the original music of Chris Thompson and Bill McKay (formerly of Leftover Salmon and Derek Trucks Band). Inspired by the islands and the mountains alike, CORAL CREEK conjures a unique vibe, delivering big sounds and high-energy shows that appeal to audiences across the newgrass, rock and jamband spectrum. Drawing influence from legends like John Coltrane, Jerry Garcia, Tony Rice, Professor Longhair and Dr. John, don’t be surprised when CORAL CREEK launches into a second line jam with tenor saxophone soaring over organ swells and a rolling banjo. Listen close and you might even hear some steel pan and coqie frogs. The Rockmollys are full time professional musicians and our band members have performed all over the world and in the studio sharing the stage with bands and artist like Don Henley, The Jacksons, Lynard Skynard, Goo Goo Dolls, and many more. We love to perform Classic Rock from the 50’s-60’s-70’s-80’s-90’s and know many many tunes! 11:45 am – 1:00 pm: Madison Paige Country: South Texas was home but, North Texas seems to be where Madison stands out most. This Fort Worth resident is an Independent Singer and Songwriter with roots from Houston, TX. Read more on her journey below. class="post-template-default single single-post postid-7451 single-format-standard samba_theme samba_left_nav samba_left_align samba_responsive wpb-js-composer js-comp-ver-4.11.2.1 vc_responsive"